As the world wakes up to the sad, shocking news that beloved American actor Bill Paxton has passed on due to complications from surgery, horror and cult movie fans are especially crestfallen. Because Paxton’s presence in genre cinema was profound. Early roles in films like 1983’s eerie Mortuary were followed by turns in John Hughes’ ludicrous teen comedy fantasy Weird Science, where he played the ultimate a**hole brother Chet (“How about…a nice greasy pork sandwich, served in a dirty ashtray?”) who is turned into a pile of talking dung by angry fembot Kelly Le Brock. He followed that with his beloved turn as macho Marine Hudson, who comically turns to jelly when the monsters attack in James Cameron’s Aliens and later, he would direct and co-star in the brilliant and undervalued Southern Gothic horror mystery Frailty. And among his extensive credits in film and television sits Kathryn Bigelow’s Eric Red-penned 1987 vampire western Near Dark, a bloody, ultra-stylish “highway horror” film starring Adrian Pasdar as a young cowboy named Caleb who falls in love with a dangerous young female vampire named Mae (Jenny Wright) and is then forced to join her “family,” an ancient band of outlaw bloodsuckers who roam the New West partying hard and murdering any and all who stand in their way. 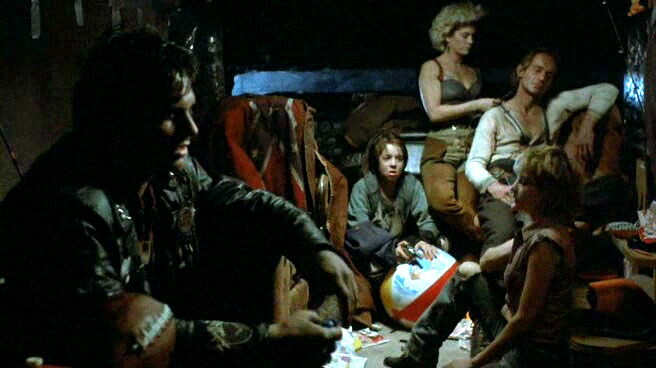 Near Dark served as a kind of reunion for three of Aliens‘ key supporting players: Lance Henriksen, Jenette Goldstein and the late Paxton. Here, the trio played leader Jesse, his muse Diamondback and spur-weidling punk-vamp maniac Severn, respectively. 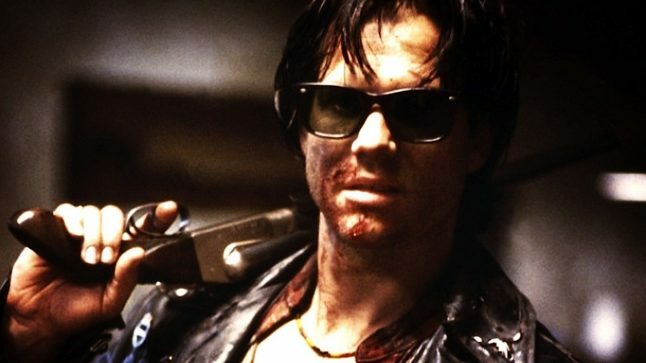 As Severen, Paxton was like a mash-up of Billy the Kid, The Cramps’ legendary frontman Lux Interior, Eric Red‘s previous highway serial killer John Ryder in The Hitcher and Dracula. An absolute badass and the feral foil to Wright’s more romantic, sensitive ghoul. We reached out to Wright this morning and asked her to share her feelings and memories of her former co-star and friend. Thanks to Jenny Wright for these warm words and our love goes out to all the other artists and people who Bill Paxton’s talent and humanity touched.